★★★★★ Interview and Review! 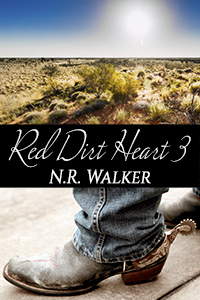 Red Dirt Heart #3 by NR Walker ★★★★★ | Because two men are better than one! Why did you choose one of the most remote places to set this series? I just had the idea of writing about Anna Creek Station (Australia’s largest cattle station – if not the world’s) but obviously couldn’t use the actual name Anna Creek. I did base Sutton Station from a real station in the NT but only on location. It is purely fictional. The remoteness and sheer size of such a place is mind boggling and the fact men and women thrive out there is equally so. What was your inspiration for the setting of RDH – I mean, it’s in the middle of nowhere? As I mentioned above, the location was based off an actual working station. Yes, there is a working farm that is literally three hours from town, in the middle of nowhere. How did you discover MM? It’s no secret that I fell into MM through the fanfiction door. I had read/written Twilight fanfiction (amongst others) and found what is known as “slash” in the fanfic world, but what we call MM. Then there was a natural progression from fanfic to original fiction. I do believe fanfic helped me become a better writer, or in essence, taught me about writing. There is an instant gratification in writing fanfiction – an immediate response from readers – that is instrumental in learning. I would suggest to anyone who is considering dipping their toes into the writing world, write fanfiction first. What was the first MM book you read? Any recommendations? I’ve recently found the Widdershins series by Jordan L Hawk and have devoured them. They’re historical paranormal, so really, what’s not to love? 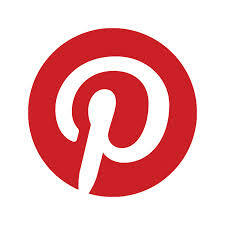 If you could have lunch with anyone – living or dead – who would it be and why? Okay, so by now, most of you know how hard I fangirl Ms Walker. But with RDH #3, she’s outdone herself. Seriously. I have never laughed so hard or cried so much whilst reading a book. I think I’ve just taken the Walker Stalker status up a notch. Travis and Charlie are just the best couple, and this is now my favourite read, ever. I loved Trav with his foot holdin’ and nose nudgin’. Charlie was just as stubborn as ever, but he’s mellowed – a little anyway. These guys together will rock all your romantic and smexy bones, until you’re a big puddle of goo. Poor Charlie had so much thrown at him, it was one thing after another, and I was a little worried about his mental health. And just when it all settles… BOOM! Ms Walker just about kills me with all the feels. Even my feels had feels, and my hubby was giving weird looks. Charlie kinda grew into himself here. He realised he can still be Charlie, without Travis. He can stand on his own, deal with anything that’s thrown at him, and still run the farm to the level expected of ‘Charles Sutton.’ But just because he can do it without Trav, doesn’t mean he wants to. I loved Charlie here, but there was a moment where I wasn’t sure what was going on with Travis and I was scared that I wasn’t going to like him. But really, I should’ve known better. This is Walker at her finest, she wouldn’t do that us, her loyal readers. Yes, she’ll break your heart, like she’s done in nearly every book she’s written, but it will be expertly put back together. I feel like I can breathe again now I’ve finished reading it. Keep your eyes our for Red Dirt Heart #4. It promises to be a doozy as well.